We run three regular term time after school clubs for children. All of them are free to join. Space is our club for younger primary school children. We have fun together playing games, making things, learning about God and praying for each other. Open to any child in school year 1-3. Visitors are always welcome. Refreshments are provided. 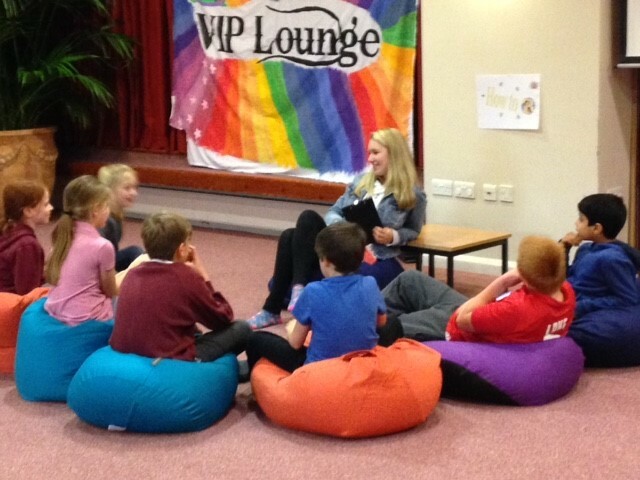 VIP is a fun and relaxed club where children can play games, make friends and learn more about God. Open to any child in school year 4-6. Visitors are always welcome. Refreshments are provided. Backstage is an after school drama club which we run at Chorleywood Primary School. We have fun learning improvisation skills, playing drama games and performing sketches. It's a great opportunity to develop confidence and make new friends. Refreshments are provided. Open to children attending Chorleywood Primary School. Places must be booked at the beginning of term through the school. In addition to our regular Sunday and midweek activities we run other events for children during several of the school holidays. Our next major event is Detonate, an annual week-long summer holiday club which we run jointly with the other churches of Chorleywood. In 2019 Detonate will run from July 29th to August 2nd. For further information and to make a booking please visit detonate.org.uk. Our next Kings Chamber Orchestra Teddy concert will be held on the afternoon of Saturday December 7th 2019. Tickets will be available from the Alpha & Events page of this site nearer the time.